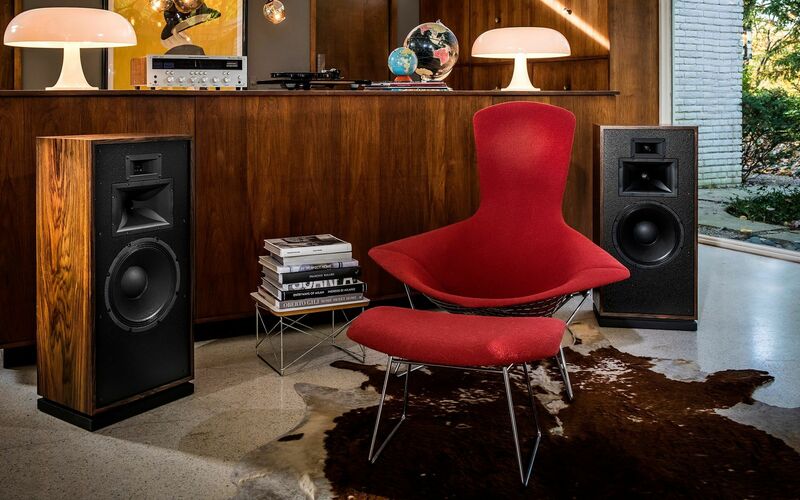 In 1946 Paul W. Klipsch (PWK) – genius, madman and maverick – designed and hand-built the legendary Klipschorn® loudspeaker with the goal of bringing live music into his living room. He was an American audio pioneer and a true eccentric. PWK gave rise to speaker research and invention that would forever impact generations of music lovers. Today, in this honored tradition, we move forward, pushing the boundaries of art and science – while driving new technologies – to deliver an ever-incredible listening experience. Remember great sound? We never forgot. 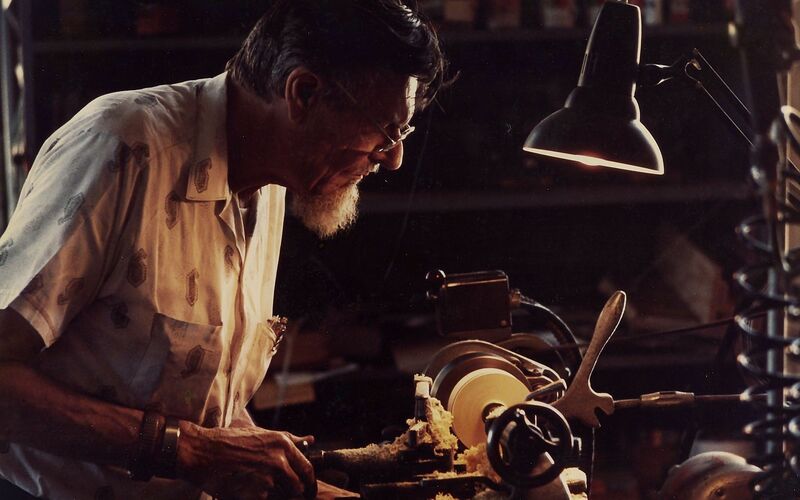 The Klipsch Heritage Series is proudly Designed & Assembled in the little town of Hope, Arkansas right where Paul W. Klipsch started it all. 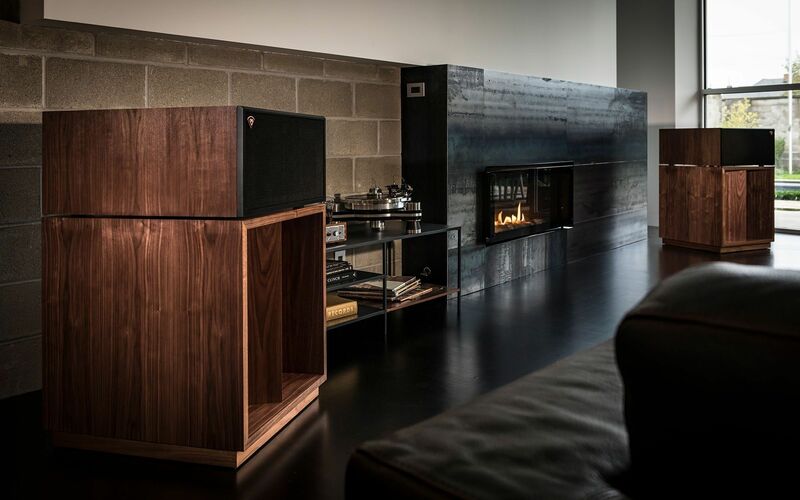 Each speaker is built to order, meaning that every Klipschorn, La Scala, Cornwall and Heresy is uniquely yours and not merely another piece of disposable technology. These speakers are legitimate heirloom-items that you will find yourself wanting to pass onto future generations. 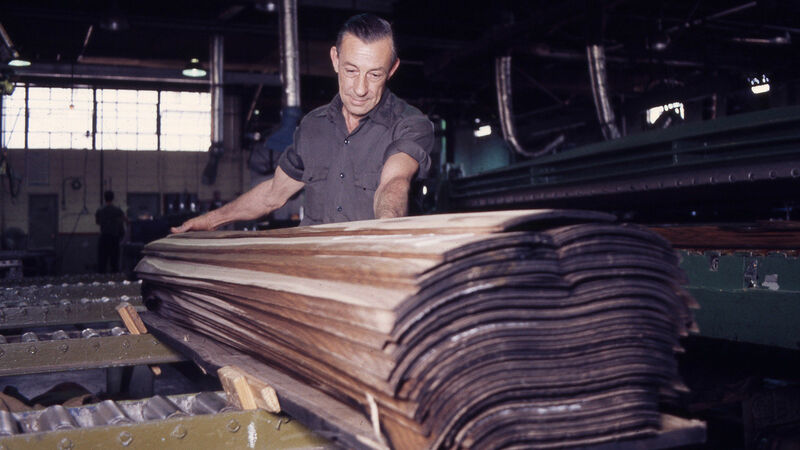 Paul W. Klipsch believed in four principles to be the foundation for great sound. 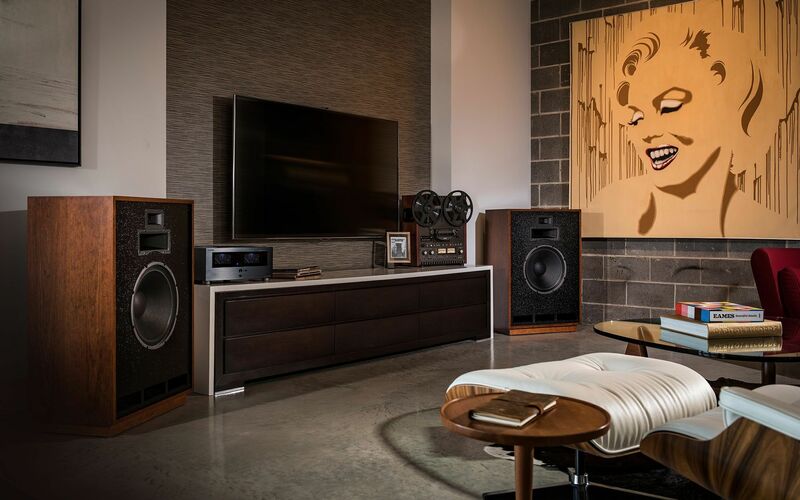 They continue to drive the design of every new Klipsch speaker, today and tomorrow: high efficiency, low distortion, controlled directivity and flat frequency response. He achieved these objectives by utilizing horn loading technology. By using a horn, the effective radiating area of the source of sound can be increased to that of the mouth, thus creating greater air coupling (louder sound). 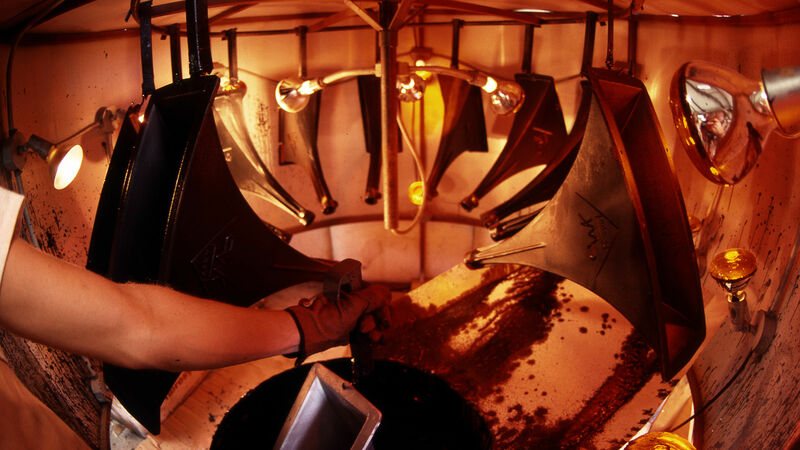 Horn loading will always be the driving force behind the Klipsch brand’s highly efficient, stunningly precise sound. 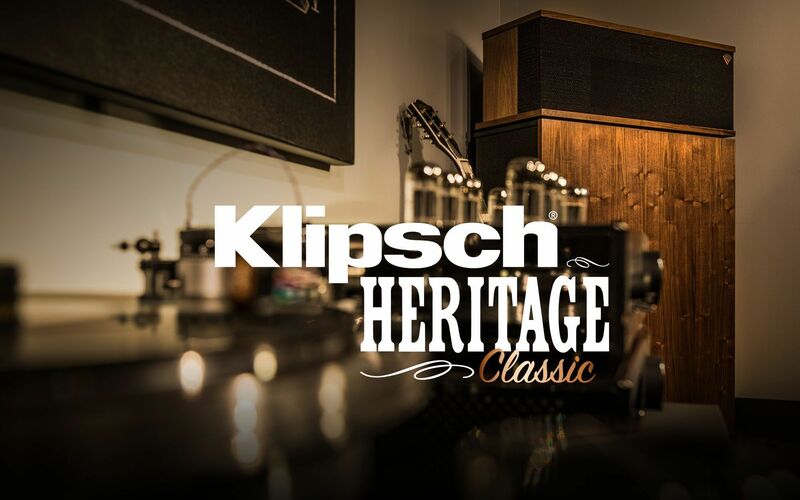 Each speaker in the Klipsch Heritage Series is available in three high-quality wood veneer finishes: walnut, cherry and black ash. 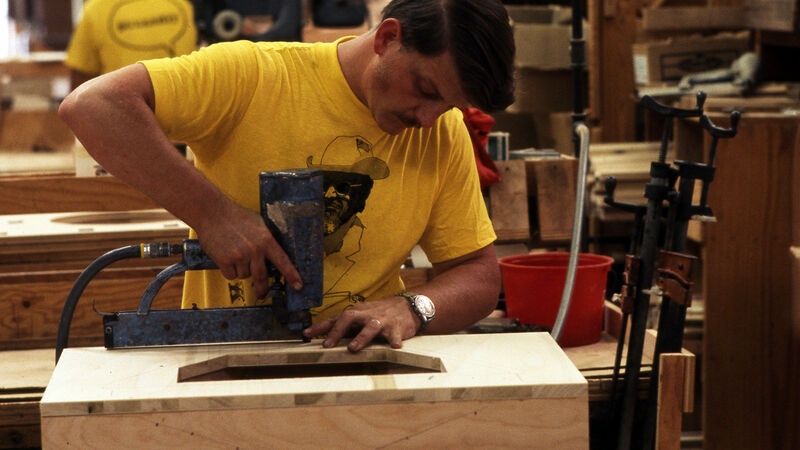 Please note: Klipsch Heritage Series products are built to order, with cabinetry handmade in the US at our Hope, Ark. manufacturing facility. Choose "standard shipping" and allow up to 8 weeks turnaround time. 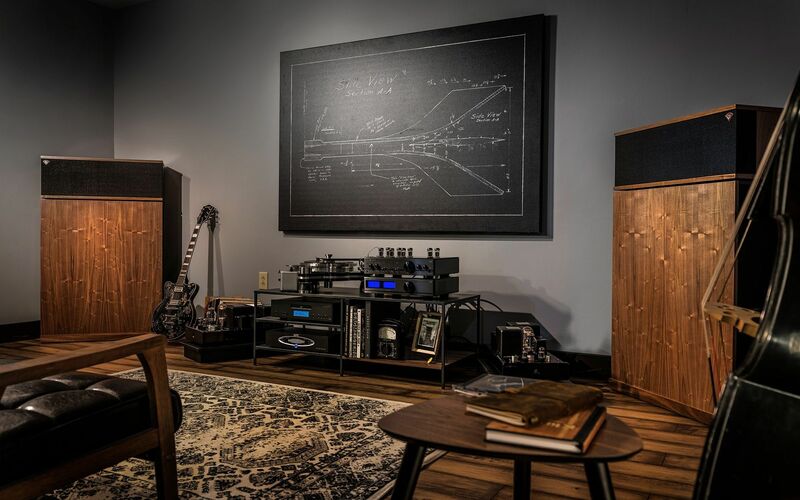 Paul W. Klipsch’s goal was to reproduce the dynamics and excitement of a live orchestra performance in his living room. 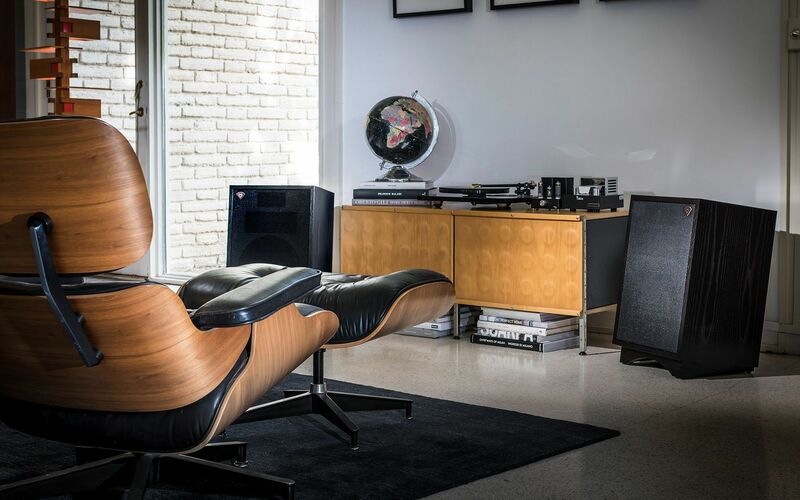 An engineering breakthrough when it was introduced, the Klipschorn remains one of the most highly praised loudspeakers in the world and is the only loudspeaker that has been in continuous production for over 65 years. Named after the Teatro alla Scala in Italy, the original La Scala® was unveiled in 1963. The cosmetically improved La Scala II provides Klipschorn-like performance from a smaller cabinet that does not require corner location. This three-way, fully horn-loaded loudspeaker reproduces sparkling highs, a smooth midrange and amazing low-distortion bass response. The La Scala II is a performer that lives up to its billing. The Cornwall was initially introduced in 1959 to serve as a larger, full-range alternative to the Heresy. When it was discontinued in 1990, there was an outcry from consumers resulting in a letter-writing campaign and even a petition to bring back this storied loudspeaker. It took a while, but we are happy to announce that this famed speaker, now dubbed the Cornwall III, is back and better than ever. A three-way design using horn-loaded compression drivers for the midrange and treble and a direct-radiating 15-inch woofer for the low frequencies, the Cornwall delivers the full-range bass response of the Klipschorn with sensitivity and output approaching the fully horn-loaded models. First introduced in 1957, the Heresy® was arguably the first-ever center channel loudspeaker, used with the Klipschorn in three-speaker stereo arrays. Legend has it that an acquaintance told Paul this design was in direct violation of PWK’s own fully horn loaded principles and amounted to acoustic heresy. Never one to miss irony, Paul decided Heresy was the perfect name. Today’s Heresy III is a compact, three-way design that uses horn-loaded compression drivers for midrange and treble reproduction and a direct radiating 12-inch woofer for the low frequencies.